Mission: Pancreatic Cancer Awareness and support for those stricken with Pancreatic Cancer and their immediate family members who seek information and assistance during this vulnerable period. Vision: To support and provide hope to patients diagnosed with Pancreatic Cancer and their loved ones; to educate the community and raise awareness to Pancreatic Cancer and the importance of early detection; and raise funds to advance Pancreatic Cancer research. Mission: To support and provide hope to patients who have been diagnosed with Pancreatic Cancer and their loved ones; to raise awareness and educate the public about Pancreatic Cancer, the importance of early detection and treatment; and raise critical funding for Pancreatic Cancer research. Strategy: To utilize the public forum that DeSean Jackson has been blessed with, as a NFL Tampa Bay Buccaneer, to raise awareness and educate the public about Pancreatic Cancer through engaging national and local media, local community Health Fairs, national telethons Standing Up 2 Cancer; cultivating and engaging community partners, clergy, hospitals; and, engaging DeSean’s 800,000+ Twitter fans. – About 43,920 people (22,090 men and 21,830 women) will be diagnosed with pancreatic cancer. – About 37,390 people (18,850 men and 18,540 women) will die of pancreatic cancer; and, since 2004, rates of pancreatic cancer have increased about 1.5%%. The lifetime risk of developing pancreatic cancer is about 1 in 71 (1.41%). This is about the same for men and women. A person’s risk may be altered by certain risk factors such as hereditary. Donate $10 or more Today with to the DeSean Jackson Foundation, 12670 Seacoast Place, Playa Vista, CA 90292. For more information, contact Mrs. Gayle Jackson, Gayle Jackson Enterprises LLC. @deseanjacksonsfoundation.org. Thank you. 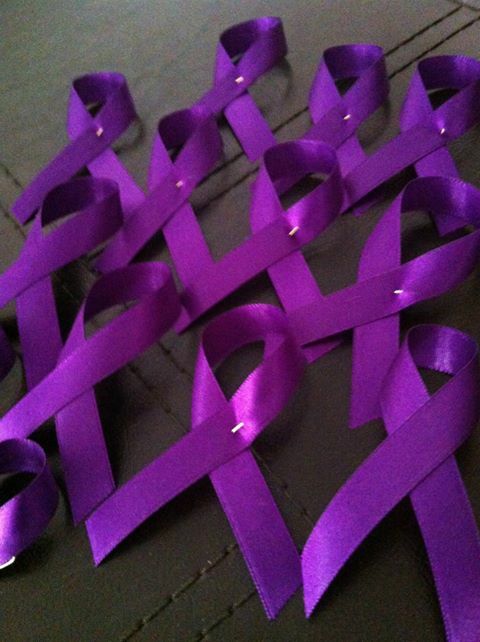 My name is Diane Huntbach I’m trying to raise awareness for Pancreatic Cancer.I am part of a team that will be walking this Saturday 11/9/13 at Memorial Hall at Fairmount Park in Philadelphia, PA to help raise this awareness and funding for much needed research. As you are aware Pancreatic cancer is the moset under-funded, under-recognized and least-studied of all major cancer killers with only two percent of the National Cancer Institute’s annual budget dedicated to pancreatic cancer research. Our Team Marlene is for a very good friend of mine she has an inoperable tumor she is a 3 year survivor and has a long way to go. Recently she was told that her tumor has grown and they are now trying a different chemo drug on her so we really need to push for donations for research. Since November is recognized as Pancreatic Cancer Month would you please where purple and help us spread the word or request that the the team where purple just like they do for Brest Cancer. If you would be so kind in helping us raise more awareness for this deadly disease it would greatly be appreciated. Thank you for the role you are playing as an advocate for Pancreatic Awareness and raising funds for research. I wish I could participate in the run/walk for Pancreatic Awareness that you mentioned; but, unfortunately I will be preparing for our next opponent. In regards to your desire to have me wear Purple during a NFL game, I must always be in compliance with NFL regulations in regards to this subject or be sanctioned. I am both honored and privileged to be in the NFL; and, have been advised that the NFLPA is developing a project that will raise awareness to many types of cancer, including Pancreatic Cancer. Please continue to advocate and fight this battle with Purple Passion. Thanks for contacting me. JUST WANT TO THANK YOU FOR ALL YOUR DEDICATION AND HARD WORK FOR THIS CAUSE! I AM SORRY U LOST YOUR FATHER TO THIS HORRIBLE DISEASE! 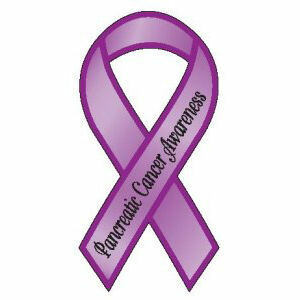 MY SISTER IS SUFFERING FROM PANCREATIC CANCER! I AM TRYING TO HELP SPREAD AWARENESS AS WELL. WE ARE WALKING THIS SATURDAY IN THE PURPLE STRIDE PHILADELPHIA WALK AT MEMORIAL HALL! MY COUSIN IS KAREN GERSTLE, PHILADELPHIA EAGLES PLAYERS ASISTANT. IF I CAN HELP IN ANY WAY WITH YOUR GALA AND ANY EVENT…PLEASE ALLOW ME TO! PANCREATIC CANCER IS THE MOST UNDER FUNDED UNDER RECOGNIZED AND LEAST STUDIED OF ALL CANCERS! WE ARE TEAM MARLENE IN THE PURPLE STRIDE!!!!!! WISH US LUCK….SO FAR JUST OUR TEAM HAS RAISED $5000.00! ALL INDIVIDUAL DONATIONS! TOGETHER WE CAN MAKE A DIFFERENCE! Thank you for your words of encouragement and support. You reached me at a time when my mother and I are focusing on Pancreatic Awareness Month; growing and sustaining our foundation and preserving my father’s memory. We realize that we aren’t able to do and be all that is needed to eradicate Pancreatic Cancer; but, have been called to be the messengers for developing a national platform of awareness and dialogue for more funds for research, early detection; and, support for the primary caregivers of those afflicted with this dreadful disease. Please keep us in your prayers and thanks again. I’m really blessed by the Mission and Vision. As a supporter I’m willing to do what I can to help get the word out, and help raise funds. If anyone need prayer I’m available at anytime. THANKS for beeing a light in someone elses life.